Vine charcoals are sold in the form of long sticks and is made of charred twigs of burnt wood. It is thin and long and curvy in the lead. It is mostly used to make the outline of a charcoal drawing and adding shade to it as it can be easily smudge to create the right kind of shading. Unlike the traditional charcoal, charcoal pencil helps the artist to have control over the sketch. They look just like a pencil but are a lot more smoother to use than a graphite pencil. It helps to give subtle textures to your charcoal drawing. Make sure when you are doing smudging you don’t press the charcoal pencil too hard on the paper as it could create fingerprints and make a mess of your drawing. Chalks and charcoal go hand in hand in a charcoal drawing. If you are looking to create gradients or graduated tones in your charcoal drawing, a chalk will come handy for you. It also helps to create highlights in your drawing. Tortillons are made of stiff paper and are used in graduating or blending areas when you do shading. If you are looking to create illusions of shades and textures to make your drawing come alive – it will be important for you to use tortillons. However, if you press it too hard on the surface it could make the paper really rough and dull. It is a great material for blending! Fixatives used in a charcoal drawing dries off quickly and the best usage of it is to prevent the drawing from smudging. One of the things that you are not supposed to do when using a fixative spray is to use a heavy amount of it as they are like glue and can hinder the fine texture of your drawing. A lot many artists also use hairspray as a fixative to protect their charcoal drawing from sunlight. If you want to lighten the tone of your charcoal drawing, a kneaded eraser is essential. If an area is too dark, you can also create fine lines in it with a kneaded eraser. Furthermore, it is used to create sharp edges and outlines of your drawing. 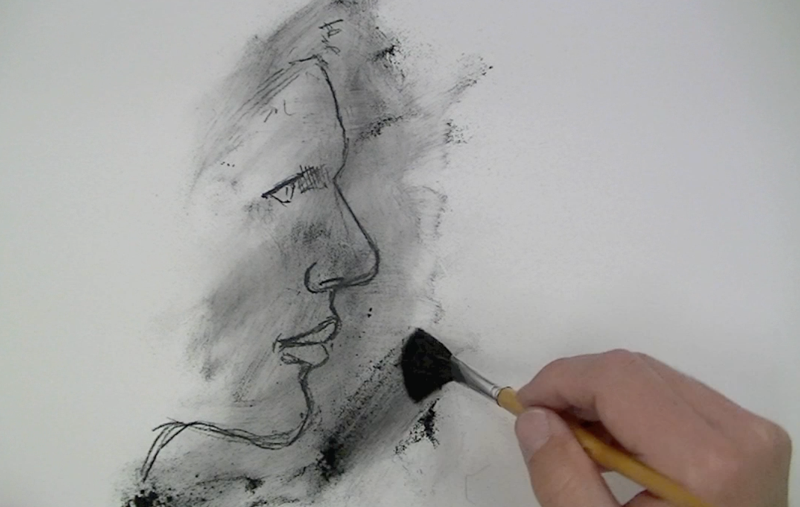 If you are a beginner, it is advisable for you to start with charcoal drawing. You will learn how to have control over your lines and create shades perfectly. It is an extremely versatile medium that can also be used in paintings. However, one thing that you need to keep in mind when you are using charcoal is that it requires little pressure on your drawing paper unlike a paint brush or pencil. To end it, it can also be a very relaxing form of recreational activity for you on your fine weekends.